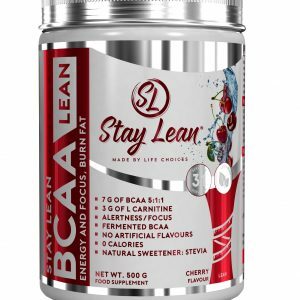 StayLean® BCAA is a high-quality free form fermented supplement and is suitable to take in all situations. Before (pre), intra (during) and post (after) training. 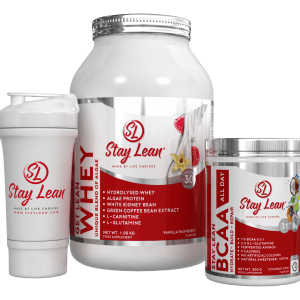 20 amino acids are used to construct all proteins in the human body. 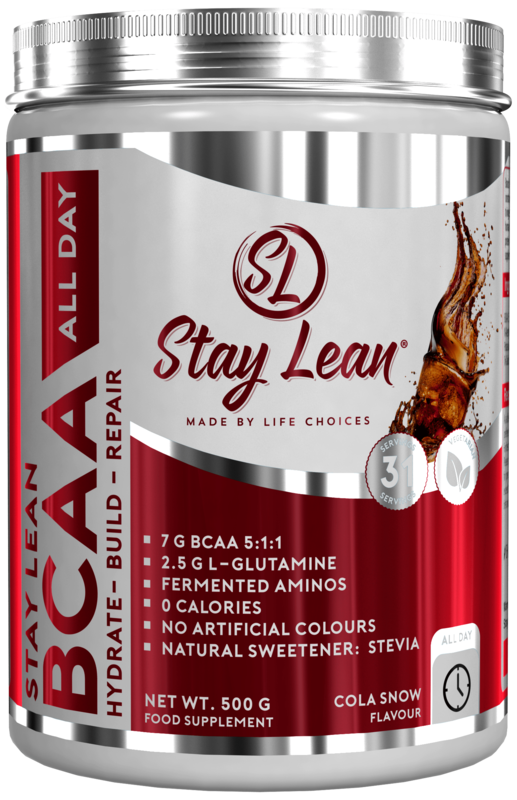 9 of these Amino Adds are called essential BCAA’s . 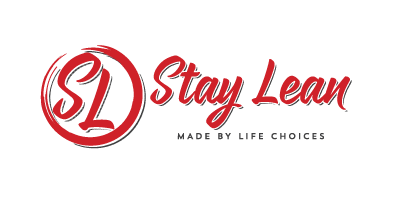 This means you need to ingest them in your food intake. 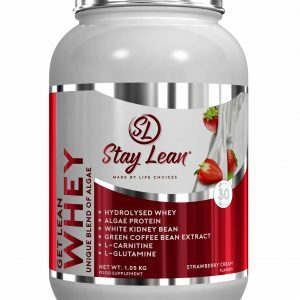 3 in particular – Leucine, Isoleucine and Valine – make up approximately 30% of human muscle protein. 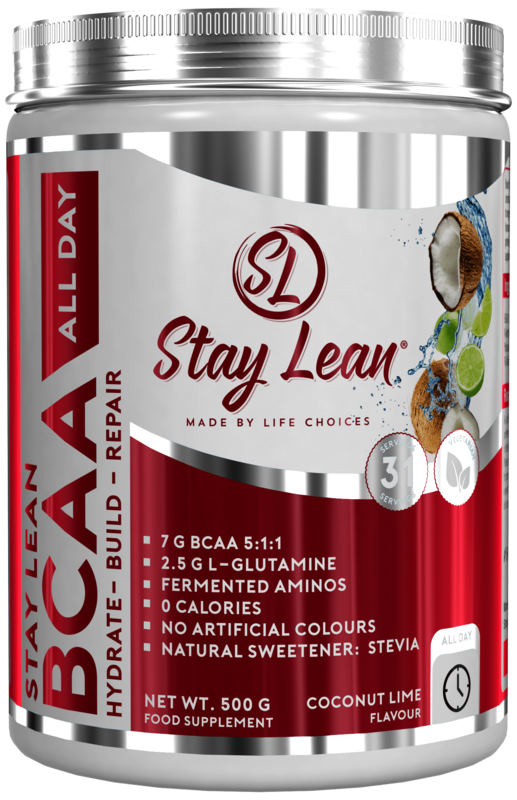 When ingested in free-form – like StayLean® BCAA’s – they can be directly used for protein synthesis, reduce fatigue and speed up recovery. 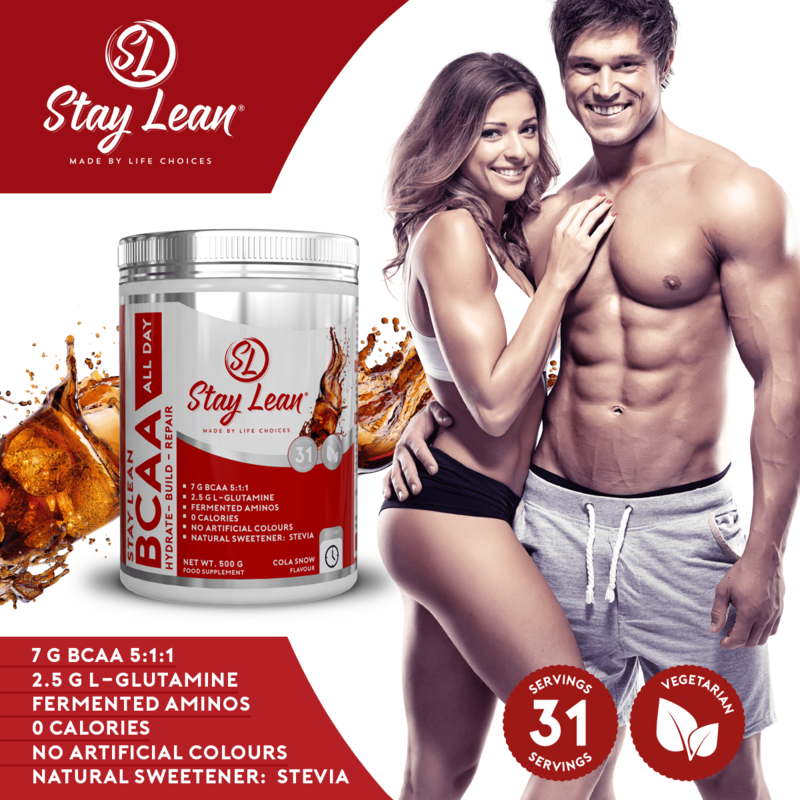 Ingredients: BCAA 5:1:1 (fermented) (L-Leucine, L-Isoleucine, L-Valine), L-Glutamine, L-Citrulline D-Malate, L-Citrulline Nitrate, N-Acetyl-L-Tyrosine, L-taurine, NI Flavour, Methylsulfonyl Methane Stabilisers, (Citric Acid, CarboxyMethyl Cellulose), Potassium Chloride, Sodium Chloride, Sweeteners (Sucralose, Steviol Glycosides (Stevia)), Vitamin C (Ascorbic Acid), Tri-Calcium Phosphate, Sea Salt, Vitamin B6 (Pyridoxine), Bioperine®, Vitamin B12 (Folate). 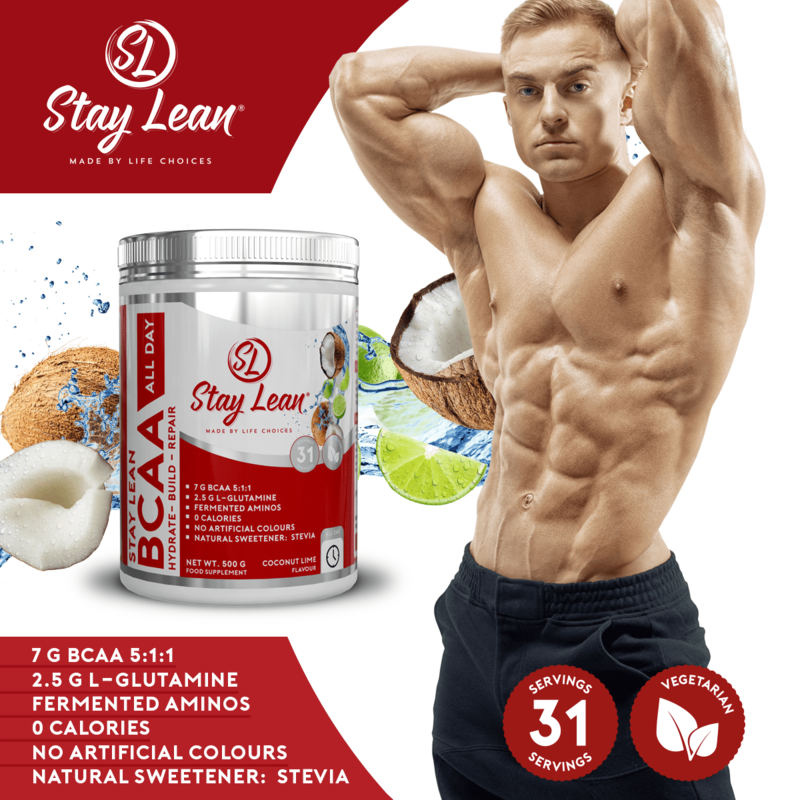 Currently using coconut lime flavour and I have to say its the best tasting BCAA I’ve used. 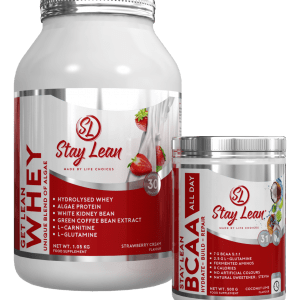 I really find the ones from MyProtein way too artificial tasting and since I mix maltodextrin with this for extra energy I don’t need any additional sweetness, so this is perfect. 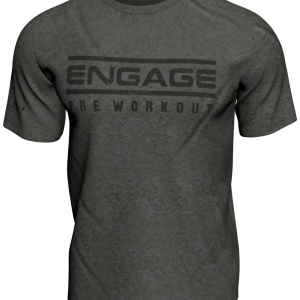 5 out of 5 great quality product. Been using the Cola Snow BCAA and its one of the best products by far! The flavor is amazing, non off these super sweet with extra artificial tasting in it which is perfect. Am a big Diet Coke person when my sweet tooth is bad and mixing a shake with this is a life saver as well! 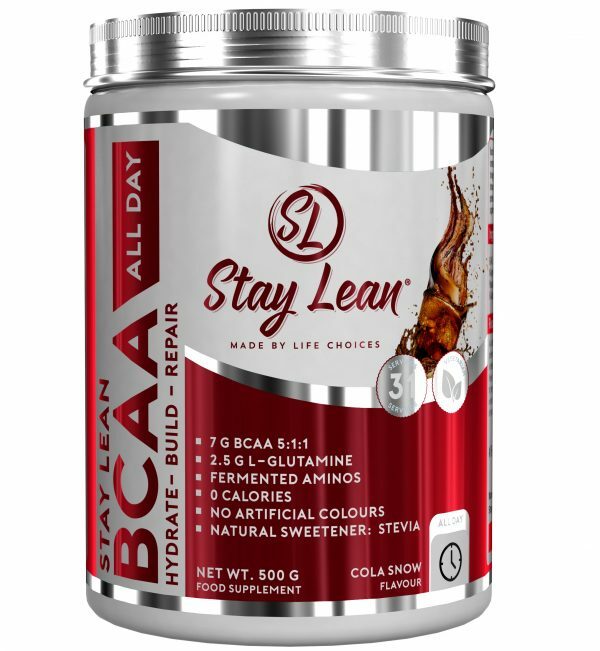 I have tried all the flavours and have to agree it is the best tasting BCAA I’ve used. 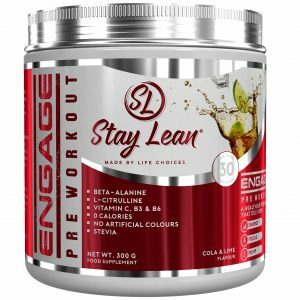 5 stars for this product are well warranted and I would recommend it.